Born and raised in Mumbai, 27-year-old Raphael Samuel aka Nihilanand has an interesting take on ‘life’. So after years of contemplating on the purpose of natalism, Raphael has decided to take a stand against it and has had a slight boom on Social Media because of his plan to ‘sue his parents’. Yes, Raphael is planning to sue his parents because they didn’t take his consent before giving birth to him and he’s raising questions against the normality of life in the most unusual way possible. 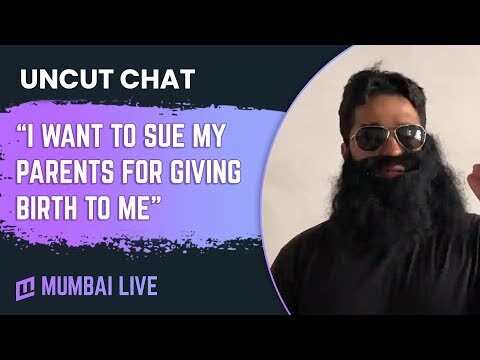 After being covered by majority of Indian and international media publications, Mumbai Live had a casual sit down with him, and tried to understand what exactly this man wants to say.